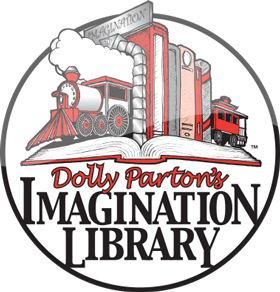 FREE BOOKS – Dolly Parton’s Imagination Library! Each month, Dolly Parton’s Imagination Library mails a high quality, age appropriate book to all enrolled children at no cost to the child’s family. All children in Guilford County under age 5 are eligible to receive books. Parents are asked to provide an email address, child’s age, name, and mailing address. It usually takes 4-8 weeks after enrolling for the first book to arrive. Countless parents have shared how excited their child is when their new book arrives each month! Many groups and individuals work hard behind the scenes to make that special moment possible for each child. The North Carolina Legislature and the North Carolina Partnership for children have made this possible in Guilford County – THANK YOU! The Imagination Library manages the secure central database, coordinates the book orders, and works hard to select high-quality, age-appropriate books and negotiates a wholesale price for them! Parents as Teachers Guilford County works to promote, recruit and enroll children.